Hang on Mom, Im Building an Atom Smasher! Michio Kaku’s multi-faceted success may seem to be, as Einstein said, the hallmark of true mastery over any advanced subject. But to fully appreciate the extent of Dr. Kakus gift for patient summary to the scientifically ignorant, ask yourself when you last saw an internationally respected physicist appear on Fox & Friends. 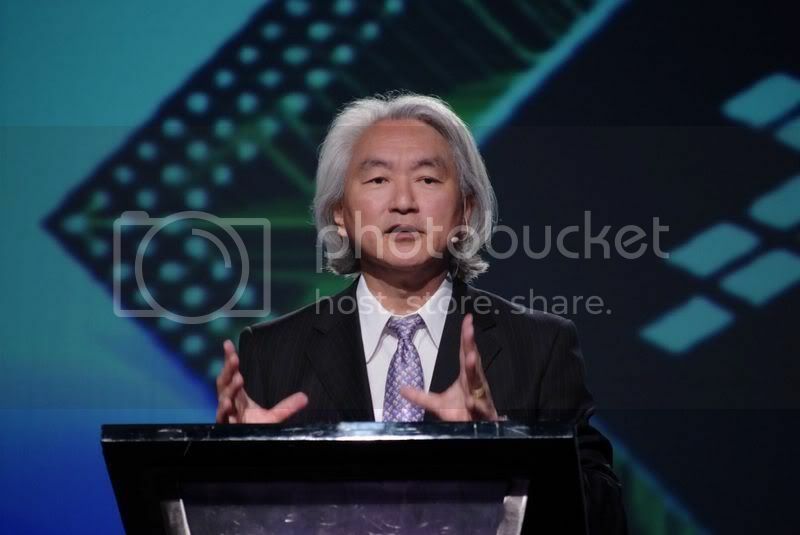 Dr. Michio Kaku delivering a recent lecture on the future of major earthquakes. Another breadwinning talent that sets him apart from high-level physics peers is that Dr. Kaku isnt afraid to address technologies and phenomena that only exist in science fiction. His Physics of the Impossible is a scientific examination of phasers, force fields, teleportation, and time travel. One of the reasons ScriptPhD.com exists is that too many scientists will dismiss such concepts offhand, but Dr. Kaku has made a career of treating them seriously in published works, his radio broadcasts, and his TV show Sci Fi Science on the Science Channel. His latest book Physics of the Future: How Science Will Shape Human Destiny and Our Daily Lives by the Year 2100 puts forth the bold argument that technology will imbue men and women with godlike powers in less than a hundred years, with specific examinations of the current field and estimated times of arrival on things like artificial intelligence, telekinesis (through implanted brain sensors) and molecular medicine that will dramatically extend the human lifespan. ScriptPhD: Most scientists are very cautious about making the kinds of predictions that you do in The Physics of the Future. Why do you think its important for scientists to address the unknown? Michio Kaku: Because the bottom line is the taxpayer has to decide what to support with their tax money. With funds being so low, we scientists have to learn how to sing for our supper. After World War 2, we gave the military the atomic bomb. They were so impressed they just gave us anything we wanted: accelerators and atom smashers, all sorts of high-tech stuff. And then with the Cold War, the aerospace program pretty much got whatever it wanted. Now were back to normal: lean times where every penny is pinched, and we have to realize that unless you can interact with the taxpayer, youre going to lose your project. Like what happened in 1993, we lost the Supercollider. That I think was a turning point in the physics community. This eleven billion dollar machine was lost and it went to Europe in a much smaller version called the Large Hadron Collider. We failed to convince the taxpayer that the Supercollider was worthwhile, so they said, Were not going to fund you. That was a shock. When it comes to non-military technology, where the public definitely has a say in these matters, unless we scientists can make a convincing argument to build space telescopes and particle accelerators, the public is gonna say, These are just toys. High tech toys for scientists. They have no relationship to me. So its important for very practical reasons, if only to keep our grants going, that we scientists have to learn how to address the average person. President Barack Obama has made this a national priority. He says, We have to create the Sputnik moment for our young people. My Sputnik moment was Sputnik. SPhD: What could be the Sputnik moment for the children of today? MK: We have the media, which is such a waste in the sense that you can actually feel your IQ get lower as you watch TV. But there is the Discovery Channel and the Science Channel and different kinds of programming where you can use beautiful special effects to illustrate exploding stars and Mars and elementary particles. This didnt exist when I was young. There were no Television outlets. It was just dry, dull books in the library that talked about these things. With such gorgeous special effects on cable television to explain these things, there is no excuse. These are cable outlets where we can reach the public, millions of them, with high technology. I had two role models when I was a kid. The first was Albert Einstein. I wanted to help him complete his unfinished theory, the unified field theory. But on Saturdays I used to watch Flash Gordon on TV. I loved it! I watched every single episode. Eventually I figured out two things. First: I didnt have blond hair and muscles. And second, I figured out it was the scientist who drove the entire series. The scientist created the city in the sky, the scientist created the invisibility shield, and the scientist created the starship. And so I realized something very deep: that science is the engine of prosperity. All the prosperity we see around us is a byproduct of scientific inventions. And thats not being made clear to young people. If we cant make it clear to young people theyre not going to go into science. And science will suffer in the United States. And that is why we have to inspire young people to have that Sputnik moment. SPhD: So you think that science fiction is a good avenue for bringing people into science and getting them excited about it? MK: We scientists dont like to admit this, its almost scandalous. But its true. The greatest astronomer of the twentieth century became the greatest astronomer of the twentieth century because of science fiction. 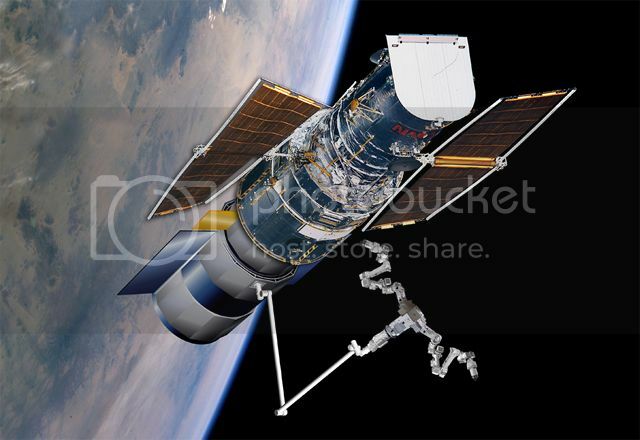 We may owe the Hubble Telescope, and its majestic imagery, to the inspiration of science fiction. His name was Edwin Hubble. He was a small country lawyer in Missouri and he remembered the wonderment and passion he felt as a child reading Jules Verne. His father wanted him to continue in law; he was an Oxford scholar. But Hubble said no. He quit being a lawyer, went to the university of Chicago, got his PhD and went along to discover that the universe was expanding. And he did it all because as a child he read Jules Verne. And Carl Sagan decided to become an astronomer because of Edgar Rice Burroughs John Carter of Mars series, because he dreamed of chasing the beautiful martian princess over the sands of mars. Heres what I dont like about modern science fiction. A lot of the novels are sword and sorcery. Instead of creating a society for the future, theyre going back to barbarism, theyre going back to feudalism and slavery. Once in a while, yeah, I like to read it, but I get the feeling that its not pushing civilization forward. When I was a young kid , it was called hard science fiction  rocket ships, journeys to the unknown, incredible inventions like time machines and stuff like that, it was less sword and sorcery, less about having big muscles chasing beautiful women and killing your enemies, less Conan the Conquerer. Science fiction stories that talk about the future are much more uplifting for young kids and also point them in the right direction. Sword and sorcery is not a good career path for the average kid. SPhD: On average, what do you think of the modern medias treatment of physics? MK: The Discovery Channel and the Science Channel are one of the few outlets where scientists can roam unimpeded by the restraints of Hollywood, which says you have to have large market share and you cant get big concepts to people. And one person who paved the way for that was Stephen Hawking and I think that we owe him a debt in that he proved that science sells. I remember when I wrote my first book, the publishing world said Look, science does not sell. Youre going to be catering to the select few. Its not a mass market were talking about. But there were already indications that that wasnt true. Discover magazine, Scientific American, they both have subscriptions of about a million. And then of course when the Discovery Channel took off, that really showed that there was something that the networks did not see, and it was right in front of their face. And that was science and documentary programming. It was always there  like Nova was a top draw for PBS  but the big networks said Its too small, its underneath the radar. So then with cable television, all the things that used to be under the radar, jumped to the forefront, Stephen Hawking outsells movie stars. And I think that really shows something. Its a hunger for people out there to know the answers to these cosmic questions, like whats out there? What does it all mean? How do we fit into the larger scheme of things in the universe? Theres a real hunger for that, and of course if you watch I Love Lucy all day, youre not gonna get the answer. I wondered if those werent generational changes that we might see come to pass in children who have grown up reading and socializing through screens. them with a ten foot pole. People didnt want to have to comb their hair every time they went online. Now people are sort of getting used to it. It varies, like for instance now we have more horses than we did in 1800. M: Yeah! Horses are used for recreational purposes. There are more recreational horses today than there were horses for a small American population in 1800. Take a look at theater. Back in those days, people thought that theater would be extinguished by radio, then they thought television would replace radio, then they thought the internet would replace television, which would replace radio, movies, and live theater. The answer is we live with all of them. We dont necessarily go from one media or one thing to the next, making them previous and obsolete, there is a mix. You could become very rich if you know exactly what that mix is, but thats the way it is with technology, we never really give up any old technology, we still have live theater on Broadway. MK: Silicon power will be exhausted for two reasons: first, transistors are going to be so tiny, theyll generate too much heat and melt. Second, theyre gonna be so tiny theyre almost atomic in size and so the uncertainty principle comes in and you dont know where they are, so leakage takes place. SPhD: In the book you are very cautious in your treatment of quantum computers (Presumably the replacement when silicon breaks down) and how long its going to take us to develop them  whats holding that technology back and why shouldnt we think that theyll replace silicon right away? MK: Quantum computers remedy both those defaults because they compute on atoms themselves. The problem with quantum computers is impurities and decoherence. For quantum computing to work, the atoms have to vibrate in phase. But when you separate them, disturbances take place. This is called decoherence, when they vibrate out of phase. It is very easy to decohere atoms that are coherent. The slightest breath, a truck traveling by, even interference from a cosmic ray will ruin the coherence between atoms. Thats why the world record for quantum computing calculation is 3 times 5 is 15 – it sounds trivial, but go home tonight and try that on 5 atoms, take 5 atoms and try to multiply 3 times 5 is 15  its not so easy. SPhD: What is your definition of artificial intelligence? MK: Well, that gets us into consciousness and stuff like that. My personal point of view is that consciousness is a continuum, and the same with intelligence. I would say that the smallest unit of consciousness would be the thermostat. The thermostat is aware of its environment  it adjusts itself to compensate for changes in the environment. Thats the lowest level of consciousness  beyond that would be insects, which basically go around mating and eating by instinct and dont live very long. As you go up the evolutionary scale, you begin to realize that animals do plan a little bit, but they have no conception of tomorrow. To the best of our knowledge, animals do not plan for tomorrow or yesterday, they live in the present. Everything is governed by instinct, so they sleep, they wake up, but theyre not aware of any continuity  they just hunt or whatever day by day. Were a higher level of intelligence in the sense that we are aware of time, were aware of self, and we can plan for the future. So those are the ingredients of higher intelligence. Since animals have no conception of tomorrow to the best of our knowledge, very few animals have conception of self. For example, you get two fighting fishes and put them together, theyll try to tear each other apart. When you put them next to a mirror, they try to attack the mirror  they have no conception of self. So were higher up. So artificial intelligence is the attempt to use machines to replicate humans. SPhD: Do you think well need to completely model human intelligence in order to create a satisfactory artificial one? MK: No, but I think we made a huge mistake. Fifty years ago, everyone thought that the brain was a computer. People thought that was a no-brainer, of course the brain is a computer. Well, its not. A computer has a Pentium chip, it has a central processer, it has windows, programming, software, subroutines, thats a computer. The brain has none of that. The brain is a learning machine. Your laptop today is just as stupid as it was yesterday. The brain rewires itself after learning  thats the difference. The architecture is different, so its much more difficult to reproduce human thoughts than we thought possible. Im not saying its impossible, I think maybe by the end of the century well have robots that are quite intelligent. Right now weve got robots that are about as intelligent as a cockroach. A stupid cockroach. A lobotomized, stupid cockroach. But in the future, you know, I could see them being as smart as mice. I could see that. Then beyond that, as smart as a dog or a cat. And then beyond that, as smart as a monkey. At that point we should put a chip in their brain to shut them off if they have murderous thoughts. SPhD: The landscape for artificial intelligence seems very fragmented  the research branches in a lot of different directions. Do you think there will be some sort of unification for a grand theory of A.I.? Could computers and artificial intelligence replace humans, such as the recent supercomputer 'Watson' winning on Jeopardy? Dr. Kaku isn't too afraid. Image courtesy of Carol Kaelson/Jeopardy Productions Inc., via Associated Press. But then you ask a simple question. Does Watson know that it won? Can Watson talk about his victory? Is Watson aware of his victory? Is Watson aware of anything? And then you begin to realize that Watson is a one-trick pony. In science we have lots of one-trick ponies. Your hand calculator calculates about a million times faster than your brain, but you dont have a nervous breakdown thinking about your calculator. Its just a calculator, right? 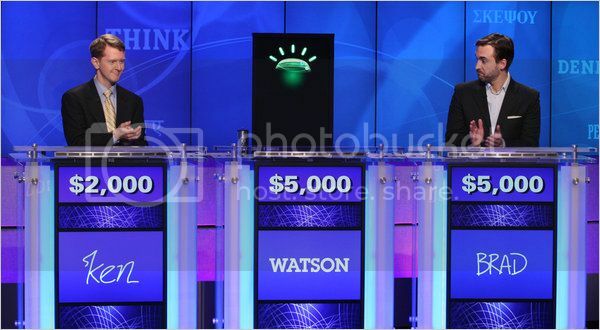 Same thing with Watson  all Watson can do is win on Jeopardy. So we have a long ways to go. SPhD: You also talk about education and how the United States will be coming to the end of a brain drain on other countries because of our unmatched universities and the so-called genius visa. You claim that in order to maintain our position in the global economy, well need to produce more qualified graduates from primary education. What changes you think need to be made to our education system to produce those graduates? M: I dont wanna insult them or anything, but education majors have the lowest scores among the different professionals on the SAT test. The brightest and most vigorous, the most competent of our graduates do not go into education. First, we have to raise the education level of the education majors, then we have to throw away the textbooks. The textbooks are awful. My daughter took the Geology Regents exam in New York State, and I looked at the handbook  I felt like ripping it apart. Really stomping on it, burning it. It was the memorization of all the crystals, the memorization of all the minerals. I really felt like ripping up that book. That book has done more to crush interest in science – thats what science curriculum does, science curriculum is designed to crush interest in science. Science is about principles. Its about concepts. Its not about memorizing the parts of a flower. It helps to know some of these things, but if thats all you do thats not science, science is about principles and concepts. So we gotta change the textbooks. SPhD: Given these contact lenses, or any form of uninterrupted access to the internet where we can access information like that and dont need to memorize anything anymore, what should we be training young people to do? MK: First they have to know the principles and the concepts, and they have to be able to think about how to apply these principles and concepts. For example, how many principles and concepts are there in geology? Heres this big fat handbook, memorize this, memorize this, it goes on and on and on, right? But what is the driving principle behind geology? Continental drift, the recycling of rock, thats what they should be stressing. Whats the organizing principle of biology? Its evolution. Whats the organizing principle of physics? Well, theres Newtonian mechanics, but then theres relativity and the quantum theory behind that. So we are talking about really a handful of principles, but youd never know it taking these courses, because theyre all about memorizing stupid facts and figures. I wanna talk about principles. galactic evolution, thats what I teach the kids about. I dont teach them to memorize the moons of Jupiter. I dont even know the moons of Jupiter, I could care less, but thats what an astronomy test was a generation ago. SPhD: Would you say that we need to educate humans from the top down and machines from the bottom up? MK: I think that with machines we should go top down, bottom up, both. And maybe well meet in the middle someplace. Thats how people are, think about it. When youre very young you learn bottom up, you bump into things. But by the time youre in school you learn top down and bottom up. Top down because a teacher stuffs knowledge into your head and bottom up cause you bump into things, you have real-life experiences. People learn both ways, but in the past, weve only tried to stress top down, realizing that bottom up is common sense. Physics of the Future is a fantastic read for anyone interested in whats in store for us over the next century (yes, this time there really will be flying cars). These arent Dr. Kakus pet predictions, but extrapolations based on the current cutting edge from the experts in every involved discipline. Readers will be shocked at how close these tantalizing technologies really are, and thrilled at the realization that most of us will live to see this amazing future. Grateful thanks to Dr. Michio Kaku and Josh Weinberg and Joanne Schioppi at The Science Channel for facilitating this interview and our book giveaway. 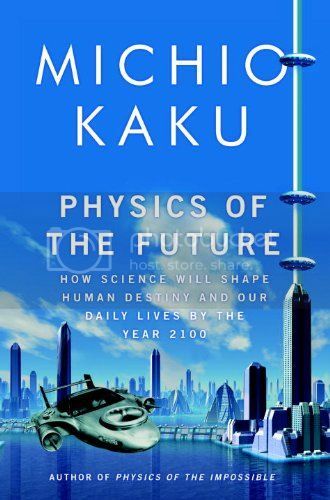 Catch Dr. Kaku on The Science Channels Sci Fi Science and read his two books, which are both available for purchase.